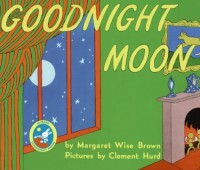 This picture book by Margaret Wise Brown uses rhyme as a bunny says goodnight to several objects surrounding him. The rhyming element and the detailed illustration make this book a perfect book for teachers to read aloud to kindergarten students. This book would be wonderful for a shared reading exercise in which students and the teacher read in unison while the teacher models fluency. The teacher could use the illustrations to teach students to read pictures as well as text while they are in the early stages of literacy. Students could also read this during small group guided reading as the teacher assesses their growing fluency. This book is calm, happy and comforting which makes it perfect for young students. 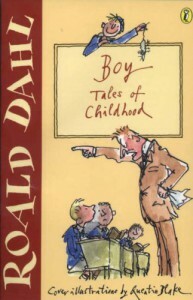 In this book, the popular children's author Roald Dahl describes his own childhood in a whimsical, descriptive style. Teachers could introduce this book as an example of autobiography. Students could enjoy learning about the author of so many popular and imaginative stories. Students could read this book as a class, responding to different elements of the story while reading, before they begin writing their own narratives. They could use this text as an exceptional example of narrative to guide their writing. Students could also use their knowledge of the author gained from this reading this book to help them analyze and respond to Roald Dahl's other works. This book by Lemony Snicket is the first in an imaginative and whimsical series featuring three orphans who encounter several conflicts or 'unfortunate events'. The series features the villian Count Olaf who the children must fight against using their own specific gifts or skills. The book has several messages that would be great to introduce to students. The young characters' determination would be a great subject of discussion that could lead to written reading responses. This series would be perfect for upper elementary students to read independently or as part of literature circles. Students would enjoy discussing the books with their peers. The book features many vocabulary words which students could discuss together in their groups. The series also gives students examples of highly descriptive writing which could be used to inspire them to make their own writing more expressive. This classic coming of age story by L.M. 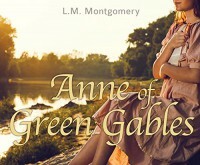 Montgomery tells the story of an orphan named Anne with a strong personality and a huge imagination. Anne stands out from her peers because of her uncontrollable imagination and her expansive vocabulary. Anne makes a great role model for students because of her individuality and her love of reading. 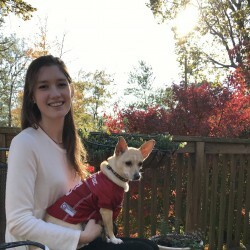 Students could connect to her as she struggles through several conflicts. This book could be introduced to upper elementary students and could be used to teach reading comprehension skills. The book contains a large amount of advanced vocabulary and therefore would be perfect for teaching students to use context clues to infer the meanings of unfamiliar words. Students who need more challenging literature to read independently could benefit from reading this book. This series by C.S. Lewis would be wonderful to introduce to upper elementary students. 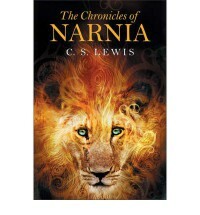 The Lion, the Witch and the Wardrobe introduces four siblings named Peter, Susan, Edmund and Lucy and details their discovery of the magical world of Narnia which they enter through a wardrobe. This book contains many moral lessons that would be great class discussions. C.S. Lewis creates a fascinating magical universe that is very enjoyable to students and can inspire their imaginations. Teachers could suggest this book to students who read and enjoyed the Harry Potter series as it would be a great way to get them interested in high quality classic literature. Teachers could read this book aloud to their class and teach several reading strategies through the text. Students could use the book to learn how to acquire meaning from unknown words using context clues or could write summaries and identify key events while utilizing graphic organizers. This classic picture book is loved by many because of its detailed and engaging illustrations. Eric Carle tells the story of a caterpillar with a huge appetite. The caterpillar eats a large number of different foods before making a cocoon from which he comes out of as a butterfly. Teachers can introduce this book through a picture walk before reading it aloud, allowing students to make predictions. This can help them to learn to read pictures as well as text. This is a perfect book for kindergarten students to explore in pairs or independently after it has been read to them in order to develop their print awareness. Beginning readers can work together in pairs to decode words using their developing phonological awareness. There are animated video versions available of this book that teachers may want to play to encourage their students' interest. 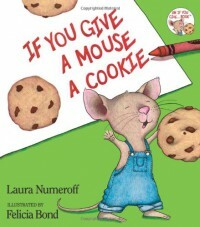 If You Give A Mouse A Cookie by Felicia Bond is a playful picture book that tells the story of a boy and a needy mouse. The story begins when the mouse asks the boy for a cookie. The boy provides the mouse with what he wants which leads to the mouse asking for a series of other items which keeps the boy very busy. Teachers of kindergarten students could use this book as a picture walk before reading to help students learn to read pictures and to develop print awareness. Teachers could also use this book to teach cause and effect as this is a central concept in the story. Kindergarten students who cannot yet create written responses could practice sequencing skills by sorting pictures from the story in the order in which they happened. During read alouds, students can make predictions as the teacher reads. Because of this book's detailed illustration and the repetitive writing, this will likely be a popular book with students and would be an ideal addition to a classroom library. This is a perfect book for kindergarten students to explore on their own after it has been introduced to them to develop their print awareness and decoding abilities. 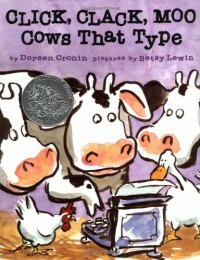 This picture book by Doreen Cronin tells the story of Farmer Brown and his very opinionated farm animals. Farmer Brown's cows have many complaints about their living conditions and use a typewriter to send letters detailing their issues. This inspires the chickens to do the same and results in Farmer Brown having to write letters to his animals in order for them to do their jobs. This book can be used with early elementary students as a read aloud. The author's use of repetitive phrases would be great to build the students' phonemic awareness. The book also would be perfect to introduce persuasive writing to students. Students could connect to the text and could respond by writing letters to someone, such as their parents or their principle, to get something they want or need. The Tale of Despereaux by Kate DiCamillo is a wonderful chapter book about a mouse named Desperaux who lives in a castle. Desperaux has several traits that make him different from the other mice in the castle. He loves to read and has a curious nature that leads to conflicts with the other mice. Students would enjoy the exciting plot of this book and may identify with the misunderstood protagonist. 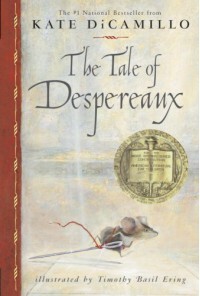 The Tale of Despereaux could be used to teach several different reading concepts as it features many well developed characters and literary themes. This book would be a great chapter book for upper elementary students to read independently as it is such an enjoyable story and so full of adventure. This book could also be used in guided reading exercises as it could provide students with opportunities to learn many vocabulary words in context and to explore literary themes and symbolism. 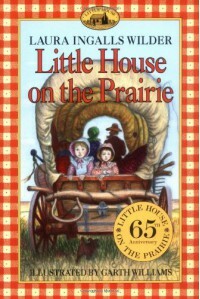 Little House on the Prairie by Laura Ingalls Wilder is a classic book that details a girl's life living on the prairie of Kansas during the late 1800s. The book could be introduced to students who are naturally interested in American history and who may want to know what life was like during this time. This would be a great book for upper elementary students to read independently as it belongs to a series of books.Teachers could also introduce this book during history lessons to give students a personal connection to the content. This book could be read aloud to teach vocabulary in context or to teach students how to use context clues to make inferences about to meanings of unknown words or phrases. 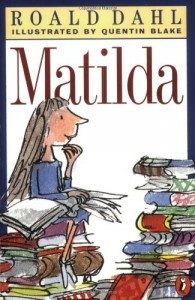 Matilda by Roald Dahl tells the story of a girl with many hardships who has particular attributes that make her unique, including her high intelligence and her special 'powers'. It is a great story in which the young main character has a strong sense of morals that enables her to stand up against the unpleasant adult characters. The book also features a dedicated teacher who recognizes Matilda's strengths and also uses a sense of right and wrong to guide her actions. As with all Roald Dahl stories, this novel is highly imaginative and has a captivating plot. The book would be wonderful to introduce to students as it illustrates how Matilda's love of reading and learning empower her. This book also would provide students with an opportunity to learn vocabulary in context as Roald Dahl's works all feature descriptive and figurative writing. 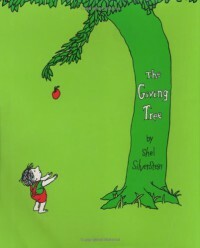 The Giving Tree by Shel Silverstein is a powerful children's book that can be enjoyed by people of all ages. The book tells the story of a tree that gives everything it can to a boy and finds joy through the act of giving. This would be a wonderful book to read aloud in an elementary classroom because of its message about giving. Students could easily relate the story to their lives and would be able to use their connection to the text to inform their writing responses. This would be a great book to use during a literature circle exercise in which each student could have a role that involved analyzing the book in some way and having discussions about the text. J.K. Rowling's series has been extremely popular with people of all ages for years because of the incredible detailed world it describes and the lovable and well developed characters. Upper elementary students are always interested in reading this book and it is a wonderful series to allow students to read independently to encourage a love of reading that will hopefully remain with them throughout their lives. The first book of her series introduces Harry Potter and describes his first year at the magical school Hogwarts. 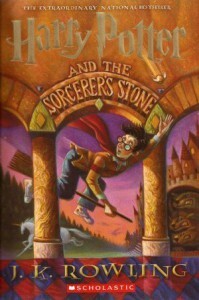 Harry is confronted with many conflicts, must make several important decisions, and learns the value of friendships. Every character J.K. Rowling introduces is strongly developed and complex which would make this book perfect to use in character analysis lessons. Students could analyze each character to identify and describe their physical and personality traits. They could use venn diagrams to compare and contrast the characters. This book would be perfect to assign to advanced readers for a literature circle. Students could read the book separately and then discuss different aspects of the book as a group. 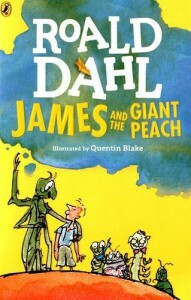 James and the Giant Peach by Roald Dahl tells the story about a boy named James that lives with two unkind aunts. James meets a mysterious old man who gives him a magical gift. He ends up on an adventure inside of a giant peach where he makes friends with several talking insects with interesting personalities. 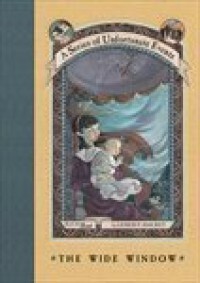 This book is enjoyed by students because of the magical and unpredictable story. Teachers could use this book to teach vocabulary words in context and to teach lessons on figurative versus literal language as the book features wonderful descriptive writing. This book could be used to teach writing lessons as it could show students an example of descriptive writing. Teachers could assign this book to upper elementary students to use in a literature circle. Students would be able to read the text separately before discussing it with their peers. 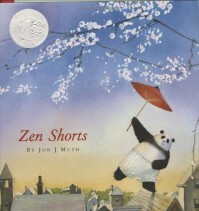 Zen Shorts by Jon J Muth tells the story of a panda named Stillwater and three siblings named Michael, Karl and Addy. Stillwater appears in the children's backyard one day and begins to tell them stories based on Buddhist parables. This book would be great to read aloud as it includes beautiful messages about giving, kindness, and forgiveness. Students could create writing responses after this book has been read aloud by their teacher as an extension activity that would allow them to explore the messages individually and form their own thoughts and reflections. Teachers could also include this book in their classroom library in order to create a more culturally diverse selection of books for their students to explore. 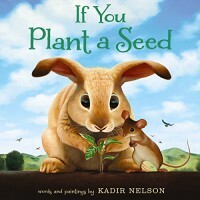 This picture book by Kadir Nelson has a great message about kindness and would be wonderful to introduce to students at the beginning of the school year. The book describes how we can plant seeds of selfishness or kindness which will grow into either fruits of trouble or fruits of kindness. This could help young students understand the importance of their actions. The book features colorful and engaging illustrations. This makes it perfect for a picture walk activity in which students can read the pictures before the teacher reads the text aloud. This book would also be perfect for kindergarten students to explore independently to develop print awareness. Teachers could lead discussions about how individuals can plant seeds of kindness and students could respond in writing about how they would plant kind seeds.